A Second Look at "Fool's Gold"
The original version of this post was written and published nearly six years ago but I think its relevance deserves a second look since many novices out there have a hard time telling the difference between real gold and its similar, but non-gold counterparts. So let's take a second look at "fool's gold." 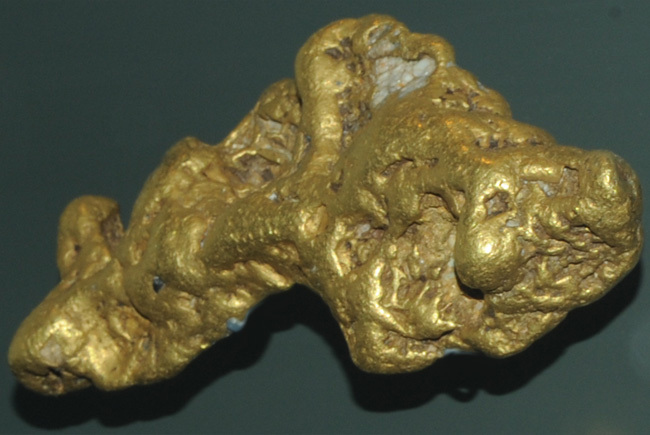 Even in this new age of instantaneous information, it might surprise you just how many would-be gold prospectors and miners can't tell the difference between "fool's gold" and the real thing. Let me attempt to set the record straight right now by pointing out some significant differences between the two. 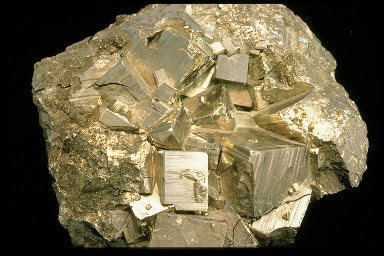 1) Iron pyrite (FeS2) is a sulphide mineral, not a metal. 2) It is brassy yellow in color and "flashes" in direct light (like a signal mirror). 3) Typically forms in isometric crystals. 4) Has a moderate specific gravity (5.6+) and a relatively low density. 5) Is very brittle and will shatter when struck. 6) Streaks greenish-black in standard streak test against a hard surface. 7) Has little real economic value. Note: One very important aspect of iron pyrites is their frequent presence in gold ores ("pyritic ores"). Although not valuable in and of themselves, pyrites can provide significant visual clues to the presence of real gold in highly mineralized locations. 1) Gold (Au) is a noble metal. 2) It is "golden" yellow in color and shines evenly on all sides in direct light. 3) Can be found in many forms including crystalline, fine grains, flakes, nuggets, stringers, ledges, reefs, and veins. 4) Has a high specific gravity (19.6) and is very dense and heavy. 5) Is very soft and malleable and will flatten when struck (can also be worked or formed and stretched into thin wires). 6) Streaks an even gold color when streak tested against a hard surface (unfinished porcelain, for example). 7) Is worth over $1,000 per troy ounce and is used extensively in science and industry. One other item that needs to be included here is a short discussion of mica, which often fools the uninitiated into believing they've struck gold in a stream. 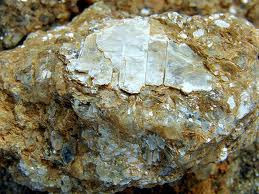 Mica is not a metal and usually appears on top of or mixed into rocks, including granite and muscovite. Mica usually forms as flat, gold-colored (although it still retains a more brassy appearance like iron pyrite) flakes that are very light in weight. Sometimes golden-colored flat flakes of mica can be seen in the top layers of sand in creeks and streams. This fact alone should suggest to you that mica is not gold, since gold is extremely heavy and tends to travel ever downward in a stream. A simple test to determine if that flake is gold or mica is to rub it between your fingers...if it disintegrates, it's mica for sure. Real gold would never do that. Note: Before we dismiss mica entirely, you should know that many gem-bearing areas contain lots of mica and rocks containing mica. These could provide visual signposts to the presence of gem minerals like garnet, tourmaline, beryl, and others. 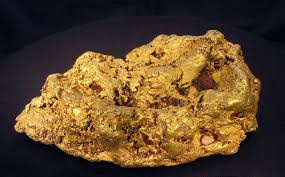 The truth of the matter is this: once you've actually seen "fool's gold" up close and personal and then the real thing, there'll be no doubt which is which. Yes Gary, the pinkish (or orangish) color is typically an indicator of more copper content in the gold. Often placer gold is stained with iron, manganese, and other "contaminants." Placing the gold in a bowl with nitric acid (do this outside, not indoors) will often clean of these contaminants, including mercury. Another item that works sometimes is simply letting the gold soak in a household cleaner like 409 or Fantastik. Best, J.R.
Everybody and everything only explain how to test nuggets, but what about when it's in the form of flakes? Flakes can be pounded flatter with a hammer, streak tested, or nitric acid can be dropped on them to see if they are dissolved or otherwise affected. I try to break the flakes with my thumbnail. The mica or shist will break, gold won't.